ok guys most of you know I moved here last December. can somebody give me a quick rundown on swa around Windsor area. I can usually hunt on Tuesdays but not sure where to go. are they mostly deep ponds and rivers. I don't have a dog so I need something I can wade in. thx for any help. 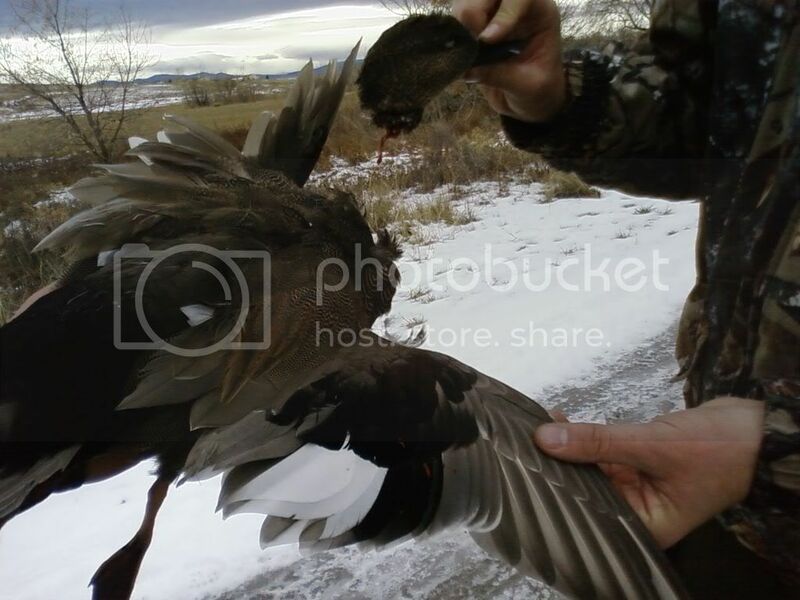 I love duck hunting but this is sure diff than mo. Best thing to do is hop onto DOW website and pull it up by region. frank swa is just east of i25. Head north to Wellington and you'll find quite a few ponds. Out towards Greeley and you'll be on the river. Big thompson ponds and lone tree aren't too shabby to the west. Just start with some maps. There's a ton of SWA's up here. Frank SWA is in Windsor. It is a reservation hunting area. The number is on the DOW website. The further you walk there, the more success you will have. Bring a wagon or cart for your stuff, it's a concrete bike path the whole way. Had a friend ride a skateboard with decoy bags on each shoulder. I'm not that coordinated. You get some interesting looks from people out for their morning run, and your there with face paint, and the Rambo getup. Kinda awkward.... A reason to enjoy it, is that there are signs warning walkers etc about hunters. And tells them to pay attention. There used to be some great ones out on the river in Greeley and east from there. Those areas are likely to be closed for some time as they all washed away. You can do some windshield time with a SWA book (free anywhere licenses are sold) and go find an open one. I bet there are land owners out there that need a helping hand cleaning up the mess. If you help a man out and then ask to hunt, I'd wager a guess that the yes rate goes way up! There is a tree at Frank by the back pond that grows duck heads. 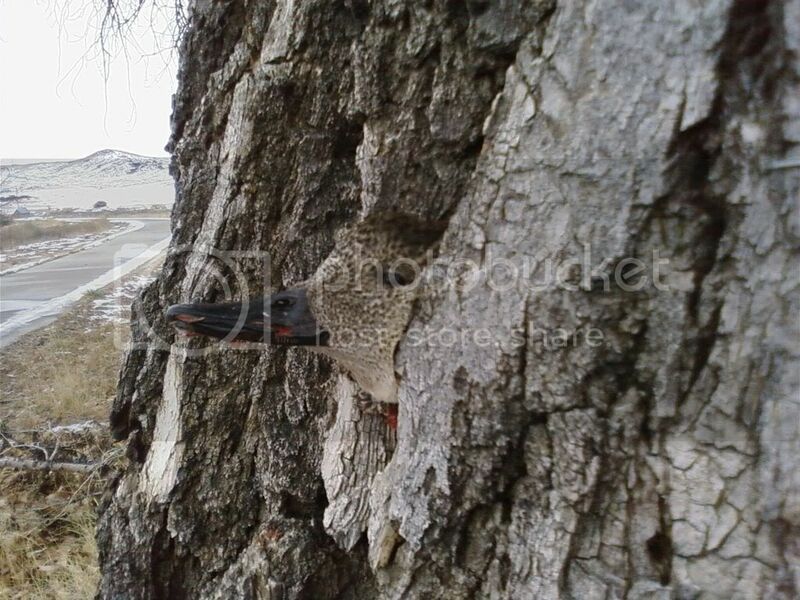 Gotta figure its a wood duck tree. You can see the concrete path in the background. It was a snowy day. If you don't have a dog, kayak, belly boat, or a canoe bring a fishing rod with a snagging hook on it for retrieves. Those ponds drop off quick as they were gravel pits. There is a tree at Frank by the back pond that grows duck heads. Gotta figure its a wood duck tree. Looks more like a mallard duck tree. "Wood duck" because it's in a tree. But, no, not a mallard. Dynamic Decoys--Wait for the Web! thx guys, I live right by frank an walk that trail several times a week getting ready for elk season. sounds like I will need a boat. I appreciate the info. take care an good luck. Dang, tough crowd. Gadwall duck tree! You see we have a wood duck tree on our place which is always loaded with woodies. We also have a canada goose tree, though that one only occasionally has a goose hanging out near it. I was following you.....just a mistaken identity of the gaddy. Just for the record, true wood duck trees are Russian Olives.